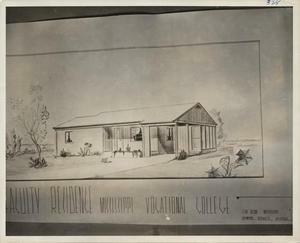 Description: Faculty residence architectural drawing, Mississippi Vocational College (now Mississippi Valley State University). Folder: Dr. J.H. White - Mississippi Vocational College, Itta Bena, Miss.